India's fourth largest pharmaceuticals company Cipla has thrown a bombshell. It has made a generic version of a patented Novartis drug used to treat chronic obstructive pulmonary disease (COPD) and has, at the same time, asked the government to revoke the five patents that the Swiss company holds on the drug Indacetorol. It is an audacious move. 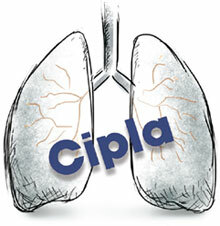 Cipla has not opposed the patent or challenged it in court. Nor has it sought a compulsory licence that would have allowed it to override patents. Instead, it has thrown a bold challenge to the Swiss drug major at a time when the US pharma industry is baying for India’s blood claiming that its patents laws do not protect innovation. The bigger challenge is to the government. Cipla’s petition to the Department of Industrial Policy and Promotion (DIPP) which is the arm of the Ministry of Commerce dealing with intellectual property issues is interesting on several grounds. It has asked DIPP to revoke the Indacetorol patents in public interest under Sections 66 and 92 of the Indian Patent Act. Cipla enjoys an iconic reputation for its pioneering role in providing cheaper generics of life-saving drugs. In the early 2000s it brought down prices of antiretroviral drugs used to treat HIV/AIDS dramatically. Thanks to Cipla’s efforts, which were followed by other Indian generics manufacturers, the cost of treatment fell from $12,000 per patient per year to $300 and saved thousands of lives across the world. That was before India introduced product patents for pharmaceuticals. The company is using the same arguments to get the Swiss drug major’s patents revoked. Section 66 states that if the government believes a patent or the manner in which it is used is “mischievous to the State or generally prejudicial to the public”, it should make an official declaration to that effect and revoke the patent after giving the patentee a hearing. Section 92 allows the government to grant compulsory licences if there is a national emergency or in circumstances of extreme urgency or in case of non-commercial use of a patent. Cipla has put together strong arguments to force the government to act on all these grounds. It says COPD afflicts about 15 million people in India and that Indacetorol “is one of the preferred medications”. COPD is a chronic lung ailment that is characterised by a persistent blockage of airflow from the lungs and could be fatal if untreated or incorrectly diagnosed. It points out that Novartis, despite getting a patent in 2008, was not making the drug here. Instead, it had chosen to import the drug through its licencee, Lupin, another generic manufacturer. But these imports were so insignificant that it could meet just 0.03 per cent of the demand—a calculation based on data given by Novartis to the Patent Office—at a time when COPD “is being classified as an epidemic”. Although alternative drugs were available, these “are not adequate to deal with …the growing scale of the advance of COPD”, the petition says. The other reason Cipla cites is cost. Indaceterol, imported and sold by Lupin under the trademark Onbrez, is priced around Rs 2,000 per month per patient, whereas Cipla’s proposed drug, UNIBREZ, would be about Rs 400. DIPP says it has received the Cipla petition and is looking into the merits of the case, according to an agency report. India has twice before revoked patents in public interest: a process patent granted to US firm Agracetus for genetically engineered cotton cell lines in 1997, and more recently for a patent given to Avesthagen which turned out to have been based on traditional knowledge. Indacetorol, however, will be dynamite to handle.